Azure 24 introduces a new experience to guests with a la carte services and a rich charcuterie buffet, bringing together world brands as part of its “Maxx Inclusive" concept. 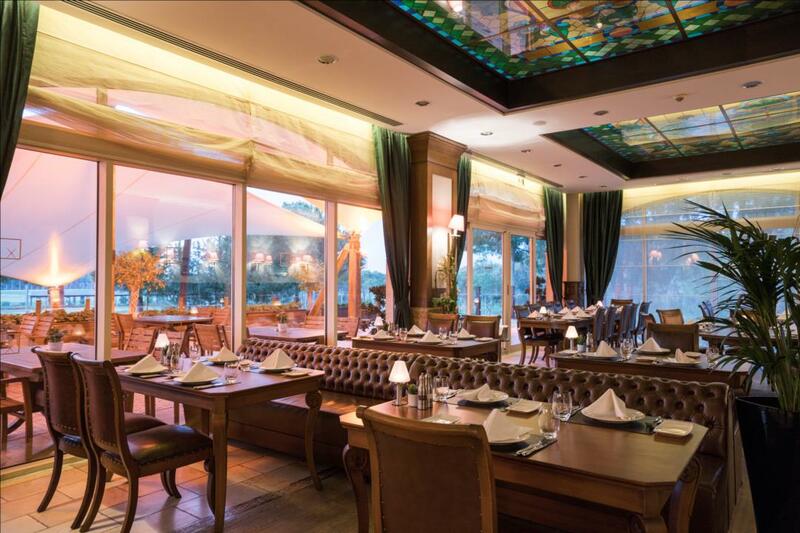 Open 24 hours a day, Azure 24’s international menu and distinctive wine list will take you on a special gourmet journey. Are you ready to explore mysterious flavours along with Teppanyaki shows by the Far Eastern chefs? Offering exotic tastes from Japanese cuisine, Azure Japanese Restaurant delivers exclusive menus delicately. Every step at the Maxx Royal Belek Golf Resort opens an experience that mobilises all your senses. Get ready to indulge your palate and all five senses with special flavours prepared by renowned chefs! Chocolatier, bringing together unique recipes from Maxx Royal’s chefs and the famous Callebaut chocolate quality, offers the sweetest dream to guests - with 44 different types of chocolate and beverage options. Le Melange will leave you speechless! Offering the most fantastic dessert flavours, extraordinary eclairs, Paris patisserie-style macaroons, and special products prepared by famous chefs, this dessert heaven is a perfect haven. Settle into the distinctive ambiance at the elegant Jay Lounge, featuring live music and cocktails prepared with some of the world’s most renowned brands to have an extraordinary experience 24-hours a day. Fruity awaits guests seeking a healthy break during the day, offering cooling fruit selections that refresh body and mind. For anyone who’s passionate about gaming, take a break in this universe of fun, while enjoying the exclusive drinks of the Maxx Royal Belek Game In Bowling Bar.